The boss of a major US oilfield service firm has said “disruption” is the order of the day as the sector continues to battle inefficiency. Lorenzo Simonelli, chief executive of Baker Hughes, a GE company (BHGE), said the oil and gas sector was still two to three times less efficient than other industries. But Mr Simonelli said he “believed in the long-term viability” of the oil industry and that growing demand meant the sector was “here to stay”. BHGE was launched in July following a multi-billion pound merger between US firms GE Oil & Gas and Baker Hughes. The company has hundreds of staff members in the north-east of Scotland. 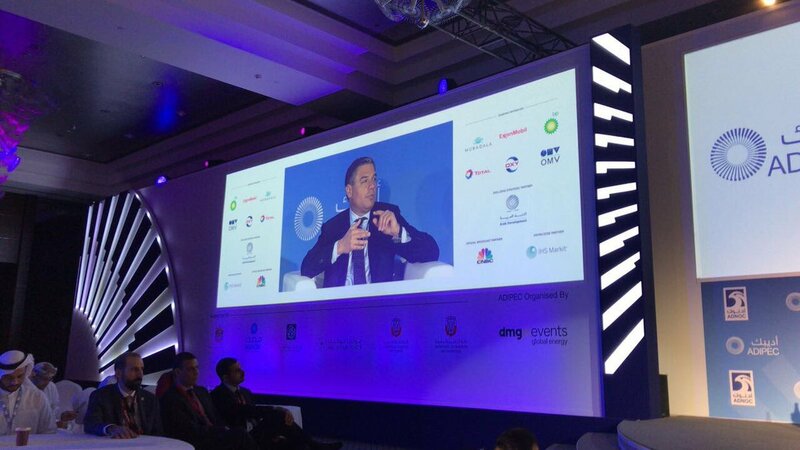 Speaking at the Adipec conference in Abu Dhabi, Mr Simonelli said the two companies had been brought together to “take out inefficiency”. Mr Simonelli said unlocking big data, harnessing new technologies and materials, and partnering with customers would make BHGE “competitive in any environment”. “Disruption is our friend,” he said, adding: “We’ve got a lot to learn from how aviation and other industries have transformed themselves. The boss of another US oil service firm with a presence in Aberdeen also spoke about efficiency while at Adipec. Weatherford chief executive Mark McCollum said the business was “top heavy”, “not very well integrated” and had “legacy costs to address” when he was appointed earlier this year. But Mr McCollum said Weatherford had embarked on a major transformation programme to change the firm’s culture and make it more focused on finding solutions for customers. He said: “Customers want solutions to lower costs and increase production. They need us to deliver that at a better value than before. He also said the sector was “still not good at collaborating”.